Do you still pay for a lot of parallel systems to manage your network and services? The times of the Zoo-of-Management applications are finally over! Stay on top of your network! StableNet® consolidates the zoo-of-management tools in one product for consistent and simple data handling. StableNet® automates repetitive manual tasks, so you save time for important issues. StableNet® scales with your IT infrastructure such as complex IoT environments in a cost-efficient way. StableNet® can be customized to deal with your individual needs. StableNet® is supporting many different vendors (e.g. Cisco, Huawei, Juniper). As a single-pane-of-glass solution, StableNet® provides performance, fault, and configuration management on a unified data platform. 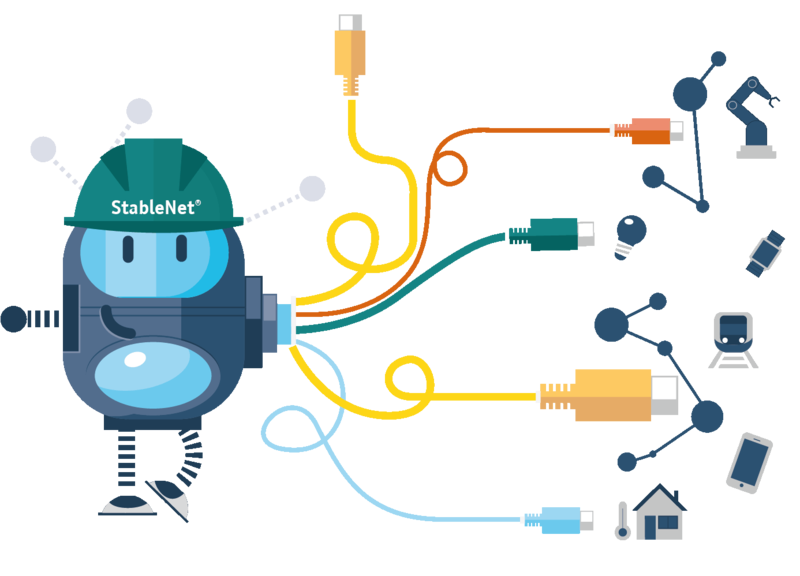 StableNet® can be implemented on multiple platforms, such as cloud, server, network, or IoT environments. Network management at your fingertips! A unified Telco-grade solution providing Service Assurance, Service Fulfillment, Fault, Performance, automated Root Cause Analysis, Network Change & Configuration Management with open interfaces into your OSS environment. A unified management solution for IT Services, VoIP and Network Providers providing Fault, Performance, Root Cause Analysis, and Network Change & Configuration Management. Software as a Service: On-demand application delivery – get the benefits of StableNet® without all of the up-front cost or ongoing complexity of maintenance. Tell me more about StableNet®! Request a fully functional 30-day trial license for free to see StableNet® in action! If you have any questions or want more information on StableNet®, please don’t hesitate to contact us. for more information about StableNet®!